Many people have heard of chia seeds, (pronounced chee'-uh) but not in the context of a “super food". You may even have purchased one of those pottery “pets” that you spread with seeds and then watch it grow into a “hairy” green creature, as the chia germinates and produces blades of grass. However, what you may not have known is that those tiny brownish-black seeds (they also can be white) are loaded with nutrients, including minerals, fiber, protein, antioxidants and Omega-3 fatty acids. 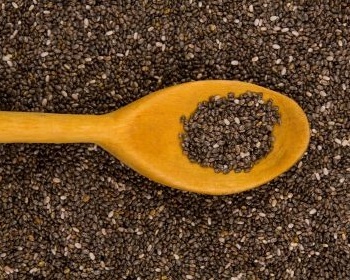 Are there health benefits to eating the seeds of the chia plant? Chia seed is what we call “hydrophilic” which means “water loving". They can absorb 10-12 times their weight in water. When water-logged, they form a gelatinous substance that is soothing to the digestive tract as well as beneficial in keeping the body hydrated and maintaining electrolyte balance. Recently, several studies have shown that adding chia seeds to your diet may help prevent and even treat diabetes, by helping to normalize insulin resistance, while reducing blood levels of fat and cholesterol. There is also evidence that including these tiny seeds in your diet can significantly improve cardiovascular risk factors in those with Type II diabetes. Interesting Fact: Long ago, native cultures, including the Aztecs, Mayans and other pre-Columbian groups in Mexico, relied on chia, along with other native foods, for energy and stamina, but these seeds fell into relative obscurity with the arrival of the European conquerors. Native Americans living in the Southwest in the United States also gathered and consumed wild chia seeds, but it has rarely been cultivated in significant amounts until recently. Chia seed is also an excellent plant source of Omega-3 fatty acids. These are essential fats that we need to keep our hearts healthy as well as for the formation of cell membranes—particularly in the brain. At present, the average western diet is deficient in Omega-3 fatty acids, so adding chia to the diet may help remedy that. Chia also provides Omega-6 fatty acids, another essential fat needed for good health, but much easier to find. Chia has a higher protein content than most other seeds or grains, and it is a complete protein, meaning it contains all of the essential amino acids. This is significant, especially for vegans, who are always looking for complete sources of protein, but also for anyone who is looking for a nutritious, unadulterated source of this important nutrient. Protein has a number of functions in the body. It is the building material for the skin, bones, muscles and other tissues in the body. Whenever there is any damage to any tissues, either due to normal wear and tear, or to injury, protein is necessary to rebuild that tissue. It is also necessary to build brand new tissue, which makes protein very important to children and pregnant women. In addition, protein is a major component of enzymes, antibodies, and hormones, and functions as a regulator of fluid balance and acid-base balance. Protein is also involved in the clotting of blood and is part of the transporters in the body that carry important nutrients. For example, hemoglobin, a protein in the blood, transports the oxygen from your lungs to your cells. 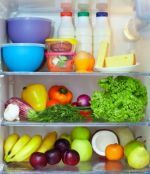 When you think of food sources of calcium, you generally think of dairy products and possibly dark green, leafy vegetables. However, chia seeds have a role to play in the calcium story, since they are an excellent source of the trace mineral, boron, which is a catalyst for the absorption and use of calcium in the body. Interesting Fact: As you may know, the calcium in your body can move from your bones into your blood, as needed, for its other numerous functions. The better the calcium is utilized, the more calcium can stay in your bones to keep them healthy and strong. We cannot say enough about fiber and its importance in maintaining good health and preventing disease. The seeds of the chia plant are a great source of fiber, at about 11 grams per ounce. In addition to promoting good digestion and elimination, the fiber in chia seeds can contribute to a healthy digestive tract and decreased exposure to harmful toxins. Sufficient fiber in the diet has also been associated with decreased risk of diabetes, heart disease, cancer and irritable bowel syndrome. Chia seeds have a high anti-oxidant content, which helps relieve oxidative stress on your body when you eat them, and also gives them a longer shelf life than many other seeds and nuts. Antioxidants defend your body against the damage caused by free radicals. Although, there has not been a lot of study of the nutritional content of chia, they are a good source of phosphorus, manganese, and zinc. Each of these minerals has an important role to play in keeping you healthy and feeling well. Eating chia seems to slow down the body’s digestion of carbohydrates, thus helping to stabilize blood sugar, which some experts believe may have implications in weight loss and the treatment of diabetes. There are numerous ways to add chia to your diet. Recipes have been developed using not only the seed itself, but also flour made from the seeds and even something called “chia gel, which is a mixture of water and chia. Since they are so tiny, unlike flaxseed, you do not need to grind chia seeds before you use them, but you can if you prefer in a recipe where you wish them to assimilate more. --Sprinkle chia seeds on yogurt or cereal for breakfast. --Add freshly ground chia to your smoothies for extra thickening and nutrition. --Make chia gel by adding 1/4 cup seeds to 2 cups of water and stirring every so often till seeds stay suspended in the gel. Store in refrigerator for up to two weeks. --Use chia gel to replace one half of the oil in baked goods such as muffins and pancakes. --Replace up to half of the water in yeast breads with chia gel. Is there a difference between the more expensive white chia and the black chia? The jury is out on this question. Some sources say that the white chia seeds (really sort of grayish) are higher in nutrition than the black seeds, and some sources say that there is no difference. You will have to decide for yourself if the white seed is worth the extra money. There are many claims about the “super food” qualities of this tiny seed, including that they provide super energy, hormone replacement, medicinal benefits in cancer and arthritis treatment, enhanced academic performance and even restoration of hair loss. Whether or not any or all of these claims are true, there is no question that chia seeds can have an important place in the diet. Furthermore, rather than being a supplement, they are actually a whole food, which makes them even more desirable, super food or not! Click on this link to go from Chia Seeds page to Flax Seed page.